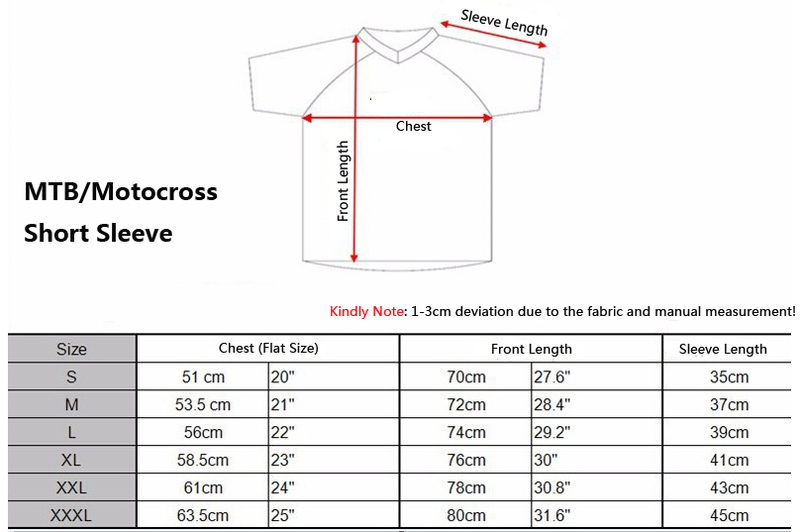 Following measurements are manual, 1-3cm error is inevitable, for reference only. 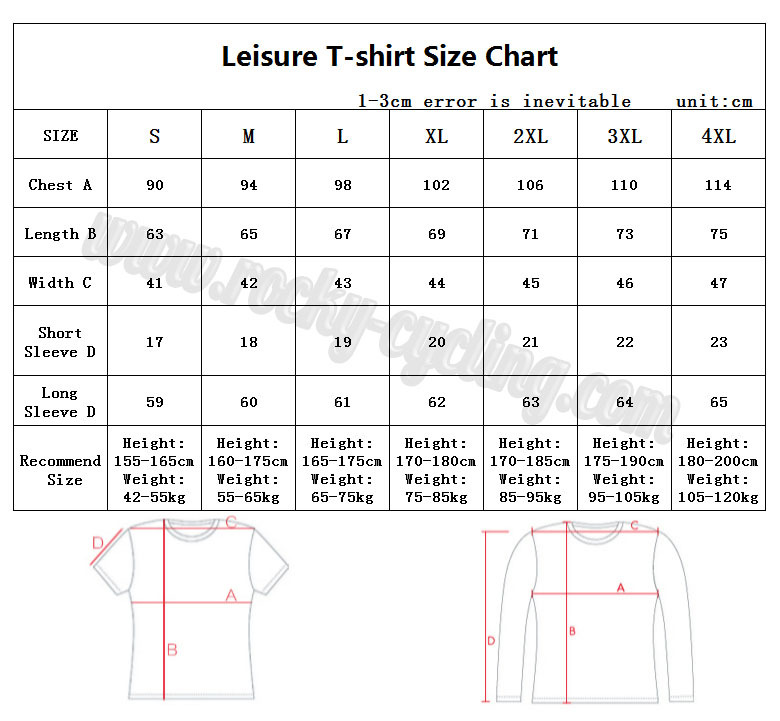 ●If you are from US, UK, AU, CA, BRA, RUS, etc., you might have to order one size larger than usual. 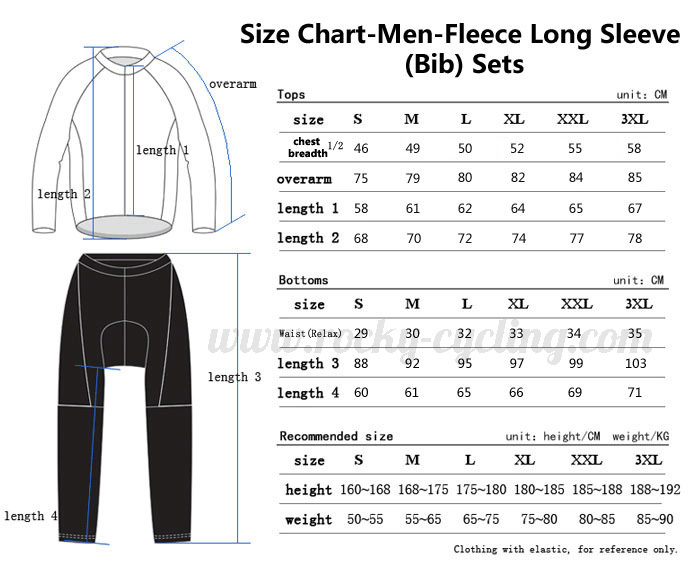 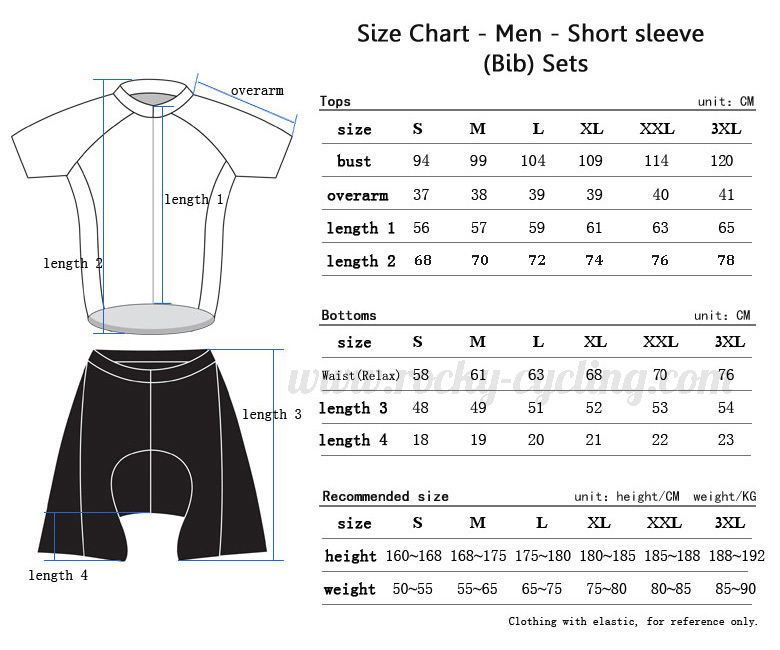 ●You can Mix Sizes for Cycling Kits, such as Jersey Size M, Shorts/Pants Size XL. 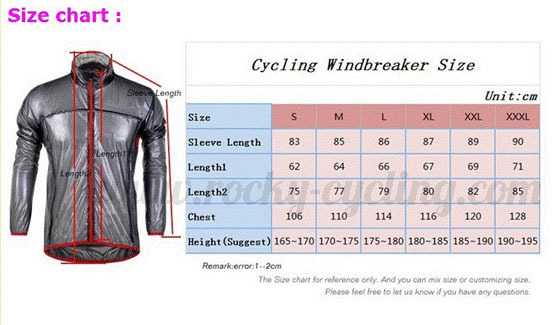 ●If you need Plus Size like XS/4XL/5XL, please contact us first, most of our cycling clothing can be custom made for bigger size. 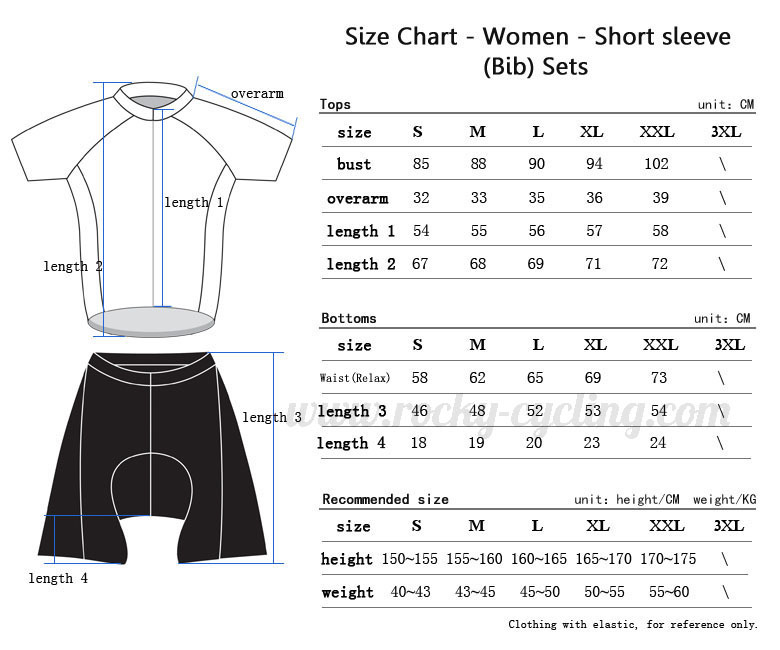 ●The waist size of Men’s Shorts is RELAX Circumference of waist, the Extended waist can be 12-20 cm more than Relax Waist. ●The waist size of Men’s Pants is 1/2 RELAX Circumference of waist, the Extended waist can be 12-20 cm more than Relax Waist. ●All Cycling Long Sleeves Clothing: Long Sleeve Jersey/Pants/Bib Pants, can be made for Thermal Fleece type for winter cycling. 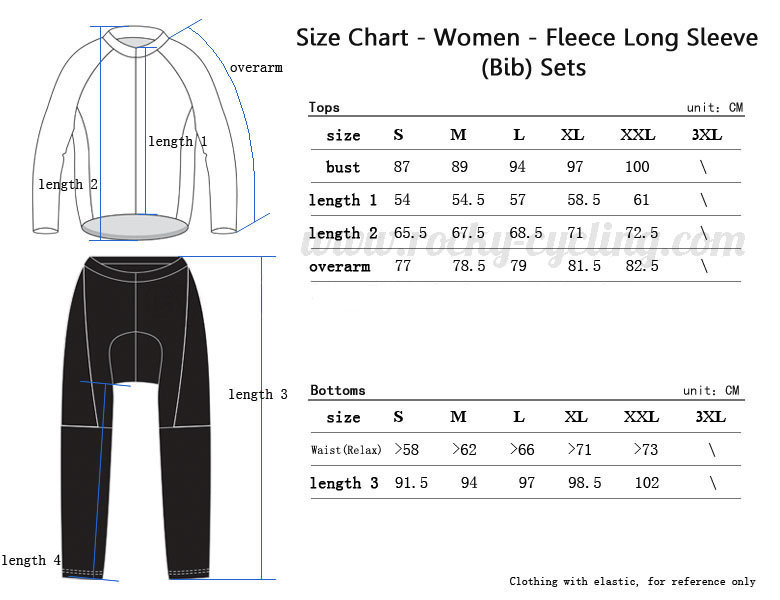 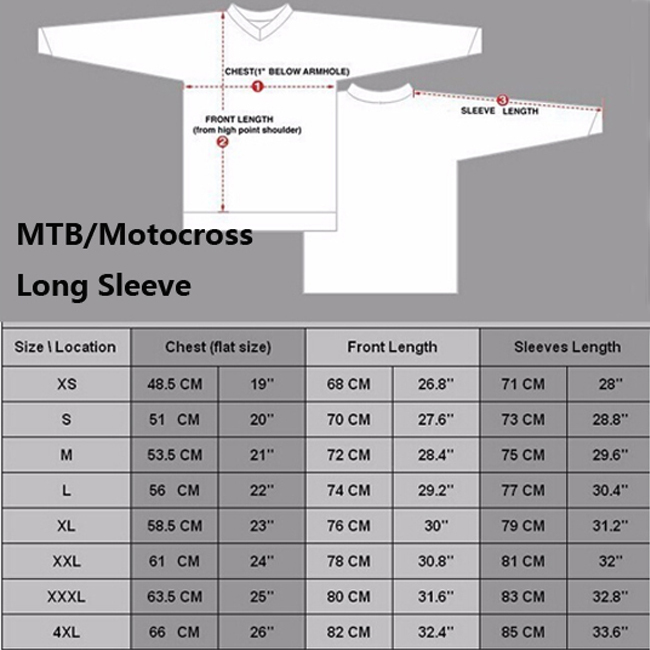 If you cannot find the Thermal Clothing you need in the categories, please choose it from Long Jersey/pants/bib pants/Long Kits/Long Bib Kit, and each item needs to add extra 3USD for Winter Thermal Fleece style(Click Here to add 3USD to the shipping cart), please leave us a note in the “order note”box before checkout.